The repeated scenes of flooded streets and half-submerged homes this month have literally brought the issue of rising seas home to millions of people along the Gulf and Atlantic Coasts. 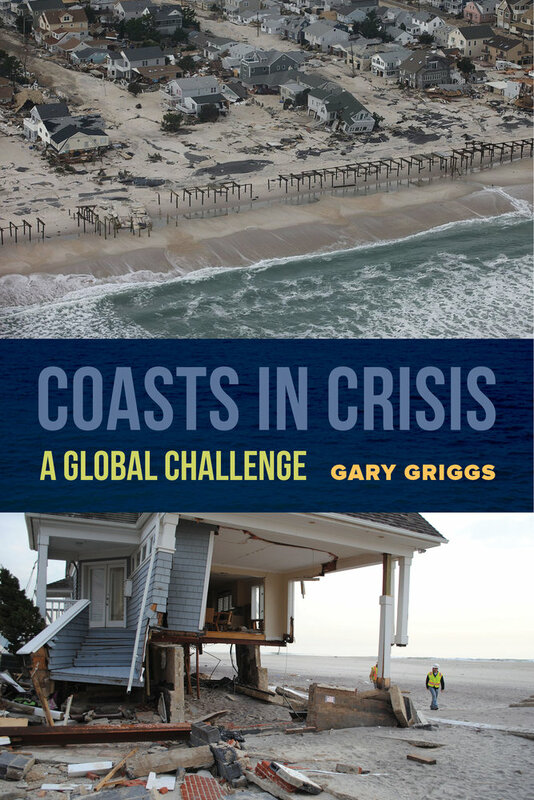 The threat is no less real here on the West Coast, as marine scientist Gary Griggs points out in his new book, "Coasts in Crisis: A Global Challenge." Griggs spoke with KQED Science Editor Craig Miller. Craig Miller: Let's put that in some perspective, because this seems to be the problem with trying to get people to engage with sea level rise -- that it is a sort of slow-motion train wreck. Six inches by 2030 might not sound like a lot. What would that actually look like in a place like the Bay Area? Gary Griggs: There are places now that are already what has been called nuisance flooding, but it's really high tides: these El Niños, when sea level can rise a foot or two over two or three month at a time, or a king tide when it can be six inches or so higher than normal, or the combination of storm waves and high tides. The sea level is a ramp that all these are on top of, so everything's going to get progressively worse as we go on. Miller: I find it interesting that you say "progressively," because seas are rising faster now than they used to. Griggs: Yeah. The last century was, along the California coast, maybe seven or eight inches. Right now, the rate is just about twice that high. The last 20-plus years we've been measuring sea level from space through satellites. Previously, it was done by averaging global tide gauges, and some of those the land is going up, some of those it's going down. Now that we're measuring it very precisely from space, which takes out the land component, the rates are maybe 13 and-a-half inches per century, or roughly twice as fast as it was, say in the last century. That's significant. Miller: Okay, so we now have Miami, where people are wading around certain streets, not just after Hurricane Irma but anytime there's a high tide. How long before that's the case on the Embarcadero in San Francisco? Griggs: We could see much more problematic conditions by 2030, in 10 or 15 years. But again we're on this curve, and the rate of increase is not completely known. What's going to happen to Antarctica -- which is where the biggest amount of potential rise is -- where you have these massive glaciers or ice sheets, but they're held in place by these floating ice shelves. They're starting to crack and break loose. That then, is like taking the cork out of the champagne bottle, so a big pulse could happen. Miller: The Bay Area may be the exception. We've seen some ambitious initiatives, and even a new tax recently, to prepare for encroaching seas. But do you think that Northern California as a whole is paying enough attention to this threat? Griggs: You know, as I look around the country and I see what's happening in places like Florida, North Carolina, where you either outlaw it or don't talk about it, I'd say we're way ahead. I think the fact that that tax passed [Measure AA in 2016] is a good indication of people's awareness and concerns. I think talking about it is one thing, and getting something done is a much bigger step. The Bay has somewhere between 400 and 500 miles of shoreline. What many people don't realize is, from the Golden Gate all the way to Sacramento -- which is sea level because Sacramento's an ocean port -- it's 100 miles inland. So not only is the Embarcadero a problem, but we've got a problem 100 miles inland. Miller: Well, there's a lot of critical infrastructure -- airports, freeways, treatment plants -- sitting almost right at sea level, with no place to move them really. What do we do about those? 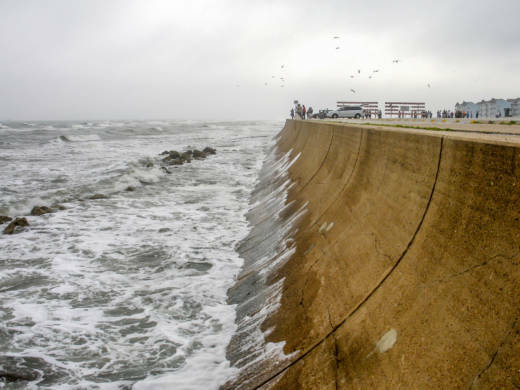 Are we looking at a future of ever rising sea walls? Griggs: You know, that's the solution we've used in the short term. 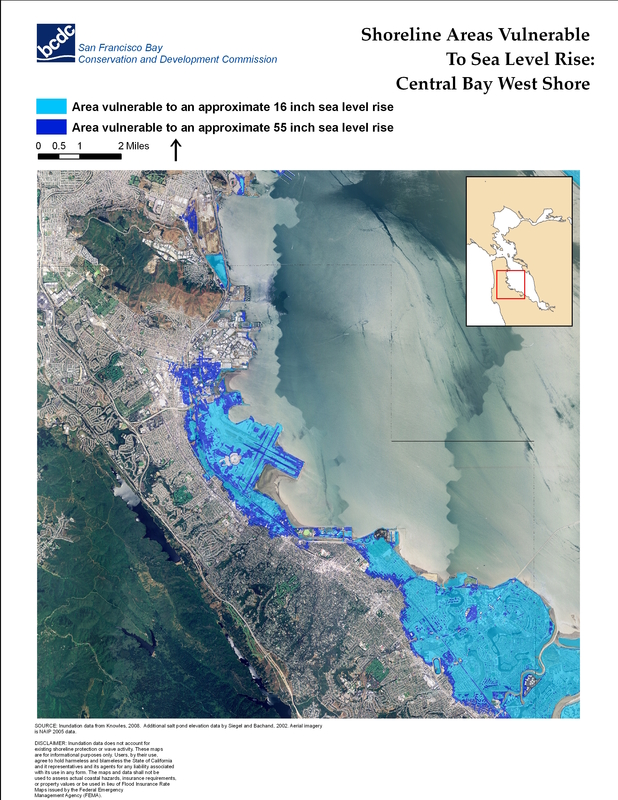 I think if you look at something like San Francisco International or Oakland, they weren't thinking about sea level rise. You can imagine a levee or a wall for a while, but at some point that doesn't work anymore. We also have most of our power plants around the Bay which are right at sea level, to pump in cold sea water for cooling. Those are not a parking lot or a bike trail, they are multi-million dollar facilities, and there are dozens and dozens of those. I will say boldly that sea level rise is going to be the biggest challenge human civilization has ever faced. Miller: If there's one big takeaway from your book that you want to get out there, what would it be? Griggs: We've got to start acting now. We have to start acting collectively, because I think our entire human future depends on it. I think traditionally what we've done -- and we're still doing now -- is, whenever a conflict comes up, we draw a line and you get on that side and I get on this side and we punch it out. I think what we have to do is come to the realization finally that it's a circle and we're all inside of it.